is a historic town in the Austrian state of Salzburg, the capital of the Hallein district. It is located in the Tennengau region south of the City of Salzburg, along the Salzach river in the shadow of the Untersberg massif, near the border with Germany. With a population of c. 20,300, Hallein is the second largest town of the Salzburg state. 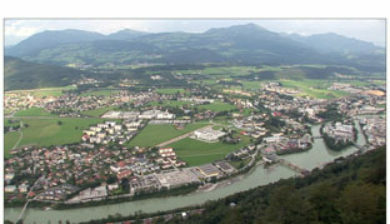 Long known for the Hallein Salt Mine in the Dürrnberg plateau, settlements in the area have been traced 4000 years back. It was a Celtic community from 600 BCE until the Romans took over their Noricum kingdom in 15 BCE. The name Hallein is one of many Hall-names in the south German language area that may have something to do with salt mining and for which Celtic, Germanic and other origins have been discussed.